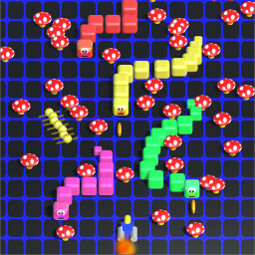 Snakes slither across the screen, and head down towards you whenever they hit a mushroom or side of the screen. You survive by blasting the snakes and millipedes etc. If you shoot the head of a snake it will grow a new one, if you shoot the middle of the snake then it splits into 2 snakes. Once you clear all the snakes on a level then you progress to the next level. 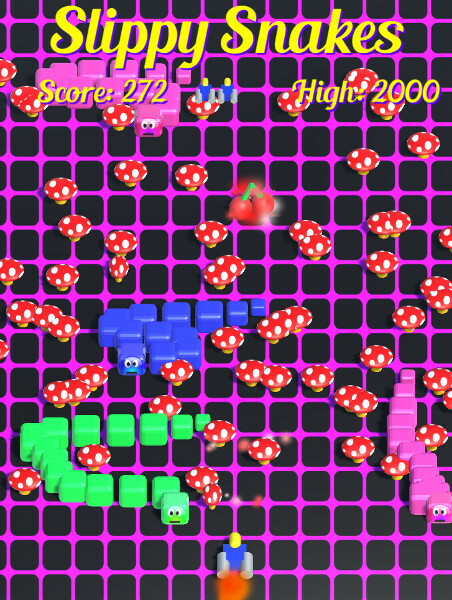 The snakes get a little faster and a little more determined with each new level. 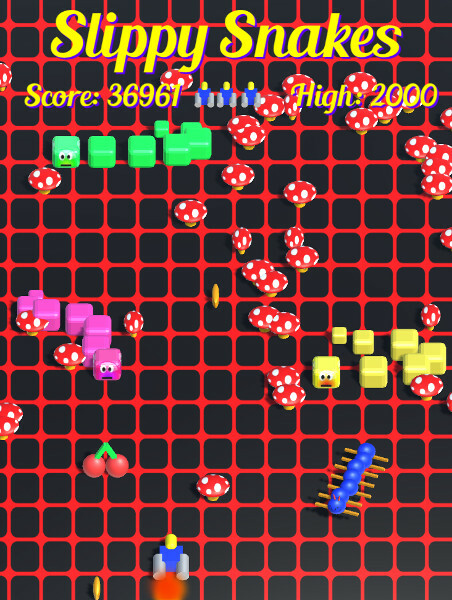 Shoot the cherry to upgrade your weapons. 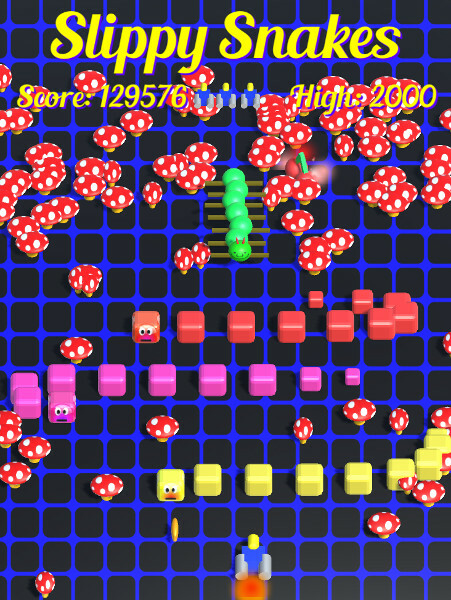 Initially you'll just blast everything in sight, but to master this game you will need quick fingers, good hand to eye coordination and to work out a good strategy.